TBB cover photo for January 2019: Captain on the Bridge! 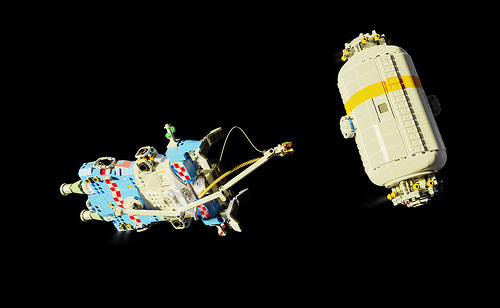 A new year brings us a (belated) new cover photo for The Brothers Brick’s social media channels. This month’s cover photo by Finn Roberts takes us high above the earth, to the interior of a spacecraft preparing to depart our planet’s orbit. 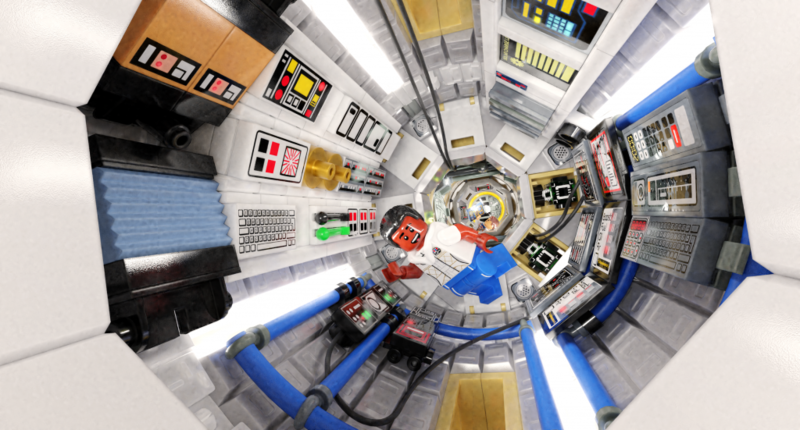 This scene is also built to fit the interior dimensions of an inflatable habitat module that Finn featured in a previous LEGO model, alongside a fantastic spacecraft used to assemble an interplanetary cruiser under construction. We can’t wait to see what the finished cruiser looks like! Want to see your own LEGO creation featured across TBB social media for a month? Then read the submission guidelines and send us your photo today. Photos that do not meet the submission guidelines will not be considered, and will be removed from the group. Keep up with the Brothers Brick by liking us on Facebook and following us on Instagram, Twitter, and Pinterest. And for occasional extra goodies, follow us on Flickr or subscribe to us on YouTube. You realize this is a render, right? It’s a great shot and design, no question. Just don’t know how I feel about a tender being the photo of the month. Kind of tired of this pseudo-stigma against renders I keep seeing around here. Leaves a bad taste in my mouth. If it’s a great model with great presentation, I say let it fly. There’s a lot of hypothetical arguments one could make, but at the end of day, we’re just having fun making cool pictures. When you feature a render as a photo of the month, basically you’re saying, “you don’t need bricks anymore.” It’s a big distinction. There is something to be said about using physical bricks– a lot to be said, in my opinion. I wouldn’t get to be featured on the front page of an antique car collector’s website just because I made a render of an antique car. Effort in the physical world still matters a lot.